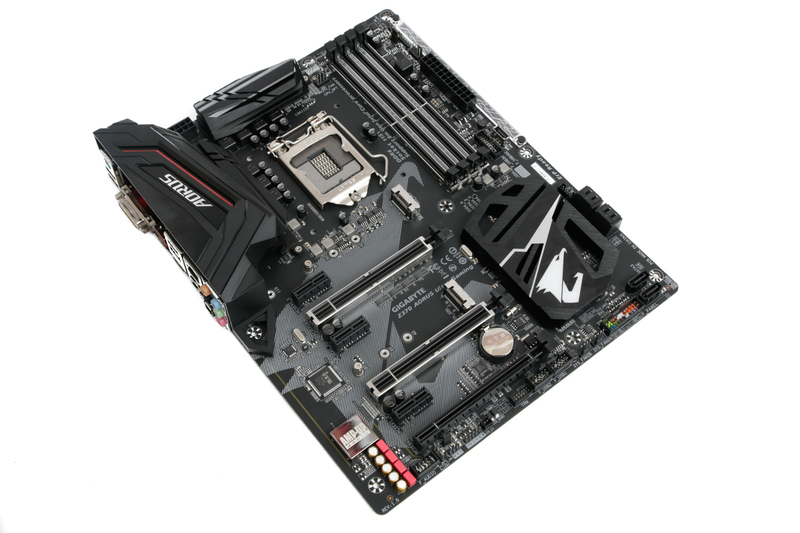 While it's easy to lust over the features and accessories included with Z370 motherboards costing £200 or more, not everyone wants to spend that kind of money, especially if you're working with a budget limit that means that cash can be better spent on a larger SSD or faster graphics card. 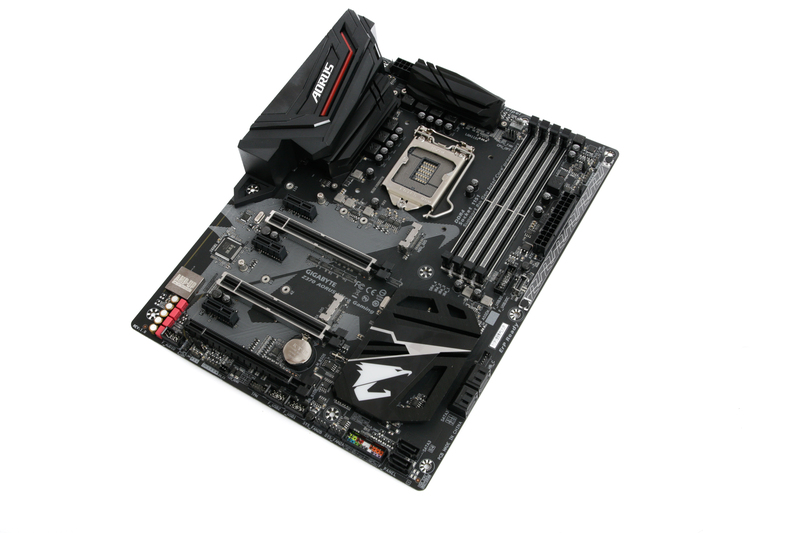 There's nothing below £100 noadays for the select few non K-edition CPUs to benefit from value-wise, but boards like Gigabyte's Z370 Aorus Ultra Gaming will leave you with plenty of change from £200 at least. 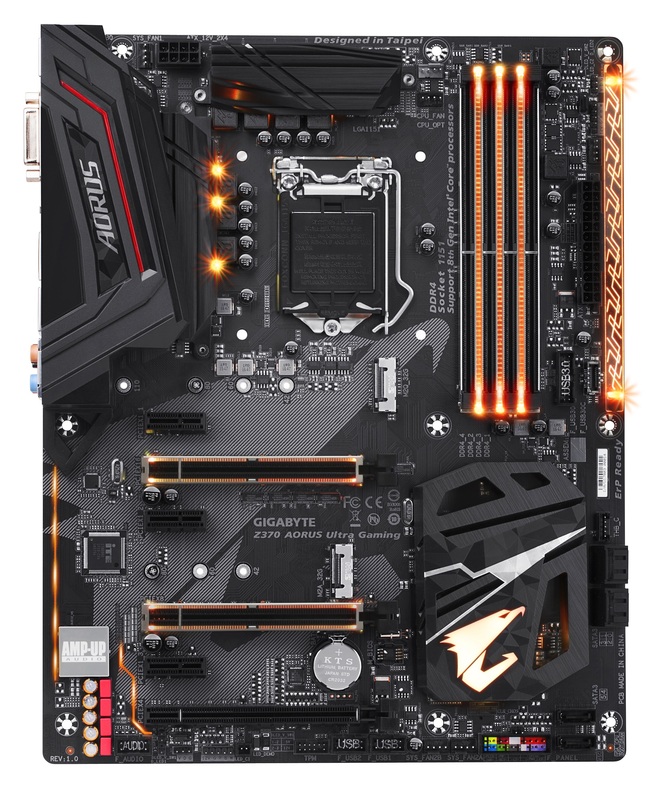 In fact, the board can be found for less than £160 if you do some digging, yet visually it appears to lack little compared to Gigabyte's pricier models. 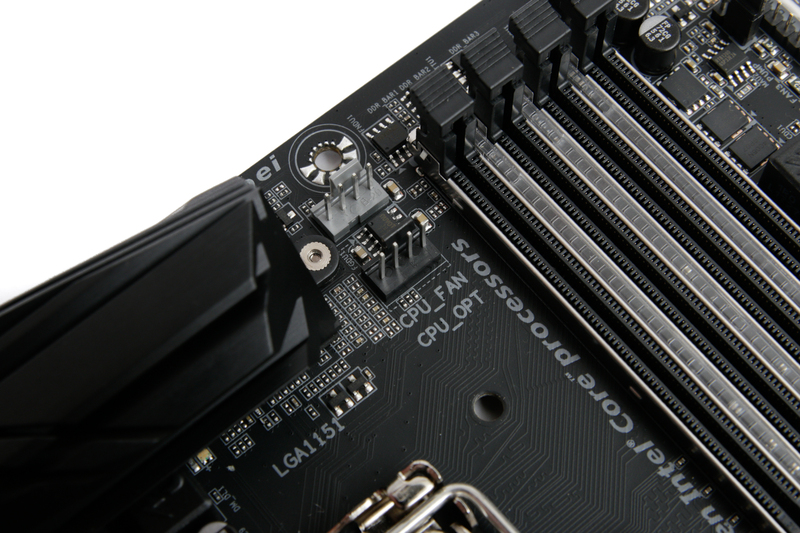 You get RGB lighting that stretches from the audio circuitry to the PCIe slots and across the DIMM slots as well as a plate next to the 24-pin ATX connector. These are bright, vivid, clear LEDs that cement Gigabyte's first place in the brightest motherboard race, with its more expensive boards dishing out even more lumens. Of course, you have to cut back a few things as you dip below £170, and the obvious one is M.2 heatsinks, which are included on pretty much every board above this price. Instead, you just get a pair of M.2 ports, with the top one supporting only PCIe SSDs, while the lower slot can offer a home to either PCIe or SATA-based models. 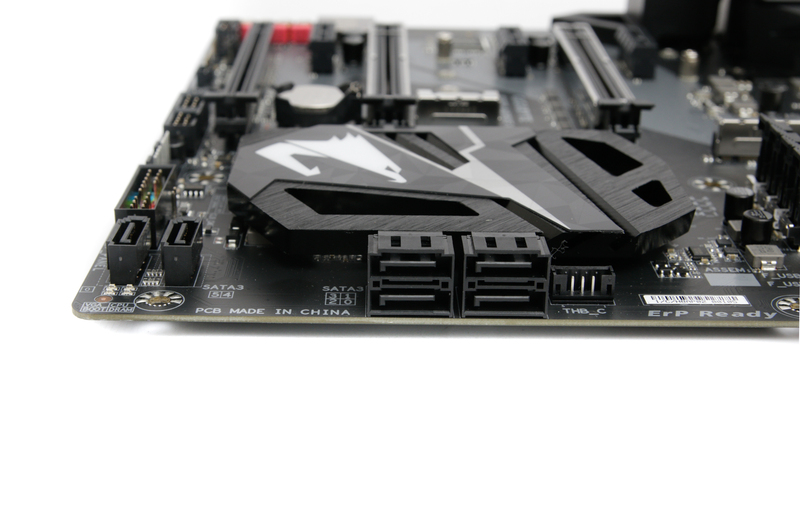 The board features the same DIMM slot lighting as on more premium boards in the Aorus range, and it's the cheapest one to do so. 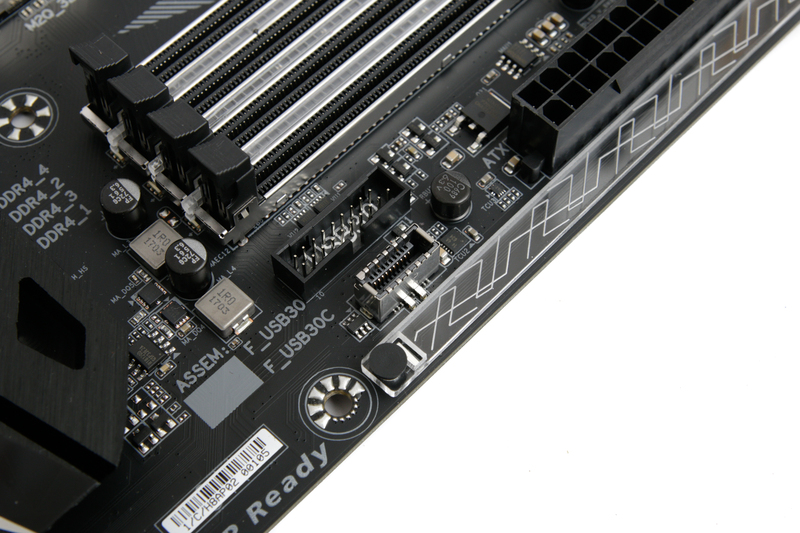 You also get two RGBW headers as well as two three-pin headers that can power 5050 digital LED strips. 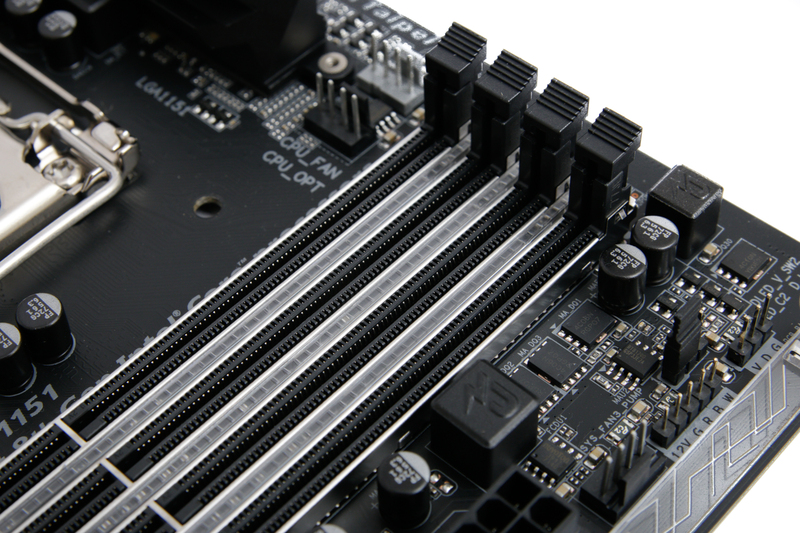 There are three fan headers around the CPU socket - handy for powering roof or rear case fans and CPU cooler fans, although there's no hi-amp header, and the dedicated AIO pump header is the other side of the DIMM slots. All of the fan headers can operate in PWM or voltage modes plus Gigabyte's excellent EFI and software fan control allows you to change fan speed according to different thermal inputs - not just the CPU. Despite the lower price tag, you still get a header for USB Type-C front panel ports on the board - something MSI's more expensive Z370 Gaming Pro Carbon AC lacks - although you should note that here it is limited to USB 3.0 speeds (AKA USB 3.1 Gen 1) rather than true USB 3.1 (Gen 2). You also get the usual six SATA 6Gbps ports. The rear I/O panel is fairly well populated, too; there's no Wi-Fi, but you get seven Type-A USB ports, with one of these being USB 3.1 and four USB 3.0. There's also been no corner cutting with the audio either, as you get the usual Realtek ALC 1220 audio codec along with a smart headphone amp and dedicated USB port for DACs that Gigabyte claims compensates for voltage droop when using long cables.